The Parani100 is a Bluetooth to IP gateway that connects Bluetooth devices to 10/100 Base-T Ethernet network. Supporting point to multipoint connectivity to seven points, it transmits data from each Bluetooth terminal to management station via TCP/IP at a rate of 723Kbit/s. The unit is designed for large-scale wireless installations especially in industrial, medical and banking sectors, which are traditionally fitted with serial connections. 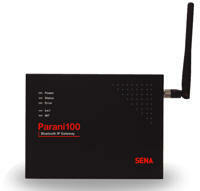 The Parani100 supports various operating modes including TCP server, TCP client, repeater, vertex and RS232 modes. TCP server mode allows management station to initiate a TCP connection to the Bluetooth device attached to the Parani100. The new SlimLine photosensor from LC&D is the solution for daylight harvesting applications with indirect luminaires. Indirect luminaires normally throw light onto the ceiling where the photosensor is traditionally mounted. But to be operate successfully, the photosensor can not “look” directly at the source of lighting. The SlimLine provides a solution because it is mounted on the bottom of the indirect luminaire rather than on the ceiling. This allows it to “look” below the luminaire to get a more accurate light reading and be successful. Visit www.lightingcontrols.com for more information. The webVUE HMI for Johnson Networks, a powerful part of The CrossTalk Platform, is a cost-effective, easy-to-use, web-enabled, integrated headend solution for Johnson networks! 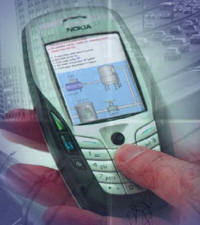 We integrate all N2 Open and DX9100 protocols. Optimize your current Johnson control network and make it easy for your staff to monitor, control and troubleshoot your building equipment. Integrate your maintenance management system, lighting controls, access and CCTV systems onto that same headend and control everything locally or remotely via any standard web browser. The webVUE headend allows you to OWN your systems and manage them in a fashion that works for YOU. For more information or a demonstration visit our website at www.cwindustries.com/crosstalk. Temecula, CA — Opto 22, a developer and manufacturer of hardware and software for industrial automation, remote monitoring, data acquisition, and machine-to-machine (M2M) applications, has introduced four new isolated analog modules: SNAP-AIARMS-i, used for applications involving AC/DC current measurement; SNAP-AIVRMS-i, used for applications involving AC/DC voltage measurement; SNAP-AIMA2-i, used for monitoring very low currents; and SNAP-AOA-23-iSRC, which features built-in, isolated loop sourcing and is used to output current values to industrial devices. For more information visit the website at www.opto22.com. 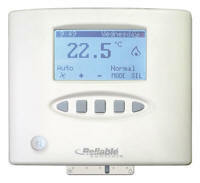 Control Solutions' Babel Busters provide cost effective tools for connecting Modbus devices to LonWorks networks. 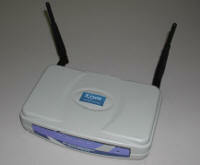 The universal gateways are LonMark Certified and easily configured with generic LonMark object tools. Visit Control Solutions, Inc. at the AHR Expo. Visit www.csimn.com for more information.